Get One Step Whitening: Within a one-hour visit to our Maidstone practice you can experience a fully brighter smile. Take-home Kit: There is a take-home kit available for a lower cost of the regular treatment. This entails applying the treatment for 15 minutes twice a day for around 10 days. 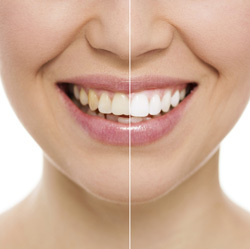 ZOOM Teeth Whitening is normally $595, and we’re currently offering this service for $495! If you have a health fund that will cover part of your treatment, we’ll assist you in getting the maximum back from your fund.